As technology advances so does the practice of marketing. If you wish to compete, you must be ready to engage your audience like never before. We can argue that no one singular idea, concept, or thing has the impact on business, and in particular marketing, that social media has had. And while its overall positive or negative impact on society, in general, is debatable, what is not debatable is the fact that social media is here to stay. Social networks are created all the time, and more and more people are interacting within this medium every day. So, how can you use social media to make an impact on your business? Know Your Audience and Speak to Them: The best way to make an impact is to know who you are targeting and speak directly to them. You will need to know their pains points and how you will present your solution. Post Where Your Message Will Be Seen and Heard: Along the lines of the above point, know where your target audience will most likely be spending their time. Do not be afraid to favor or ignore a platform depending on where you believe your potential customers will be. Consider The Platform, and Why People Use It: People seek out different platforms for different reasons, so posting the same message at the same time across all platforms is not effective. You can use the same general concept (i.e., advertising a sale or promoting a particular service/product) while mixing up the message to engage your audience in a way that fits a given platform. 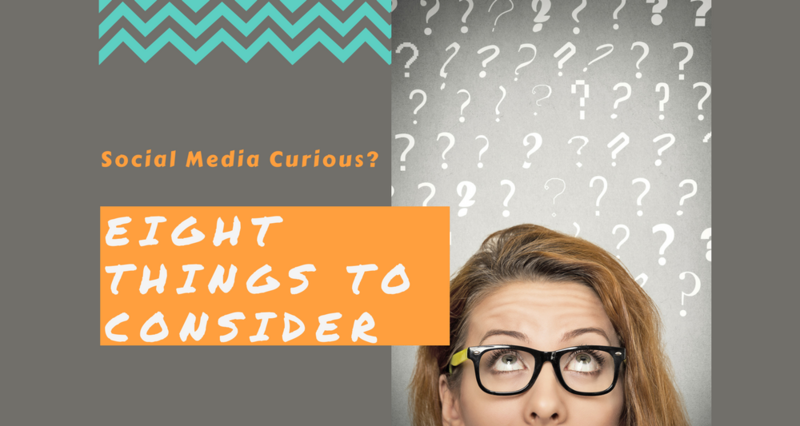 Mix it Up: When it comes to content, just because you “make contact” does not mean your audience will read what you post. Create and post different types of content to keep your audience engaged and looking for more. Quality over Quantity: It can be easy to fall into the trap of posting a lot of content, thinking more content will provide you with a greater chance of being seen. However, if the content is subpar, your followers will lose interest. Quality content has a much greater chance of resonating with your target audience, which will lead to better overall performance. Post with intention: Many businesses engage in social media because they (rightfully) feel they have to. This can lead to what we call “checkbox posting,” which is when you create and post messaging simply because there is a task on your calendar to do so. Messaging becomes stale quickly with this approach. Instead, develop a strategy that details what you should post along with the intended customer action (a phone call, an email, form completion, etc.). This keeps your messaging fresh and gives you the ability to gauge the effectiveness by analyzing how many took part in the desired action. Consistency is Key: If you plan and execute your social media strategy correctly, you will develop an audience who will begin to look and expect content from you on a regular basis. If they cannot reliably count on your to post content, you can lose your audience. Keep this in mind as you consider when and what to post. Look into Ads: Think about using ads to help establish your profile and gain a greater audience. Most platforms have ways to help you develop ad campaigns that include fairly detailed analytics. Within your marketing strategy, determine when you should use ads and how much money you wish to invest. Being successful in social media takes consistency and being prepared. Taking these eight things into consideration gives you a greater chance to succeed and make your presence known. It can be difficult, even impossible, to find time to develop a social media strategy in consideration of all eight above points while running your business. However, you cannot ignore the vital tool that is social media if you want to grow your business. If you do not have the time or get stuck anywhere in the process, don’t be afraid to ask for help! Fill out the contact form to get started!